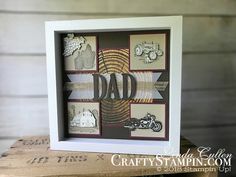 Stunning card creating a faux copper patina with the Stampin’ Up! Tin Tile Dynamic Textures Impressions Embossing Folder and Copper Embossing Powder. 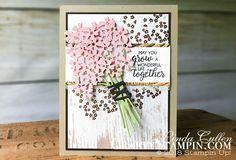 The main image of flowers and watering can, comes from the Country Home stamp set and lets the patina background take the center stage.